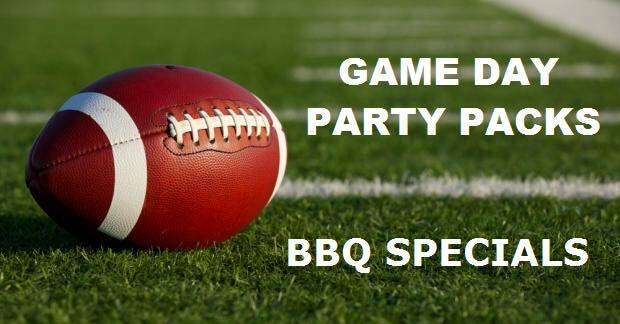 Y’all are going to love this weekends Game Day Specials for Saturday November 5th!! Party pack #1 includes: 1 lb. of chopped pork or sliced beef brisket, 1 whole smoked chicken, 1 large baked beans, 1 large coleslaw & 1 large baked potato salad for only $28.99. Party pack #2 includes: 1 whole smoked chicken and 1 large side for only $14.99. Call ahead at (501)794-6619 and we will have it ready for you!